For introduction in English, click here. 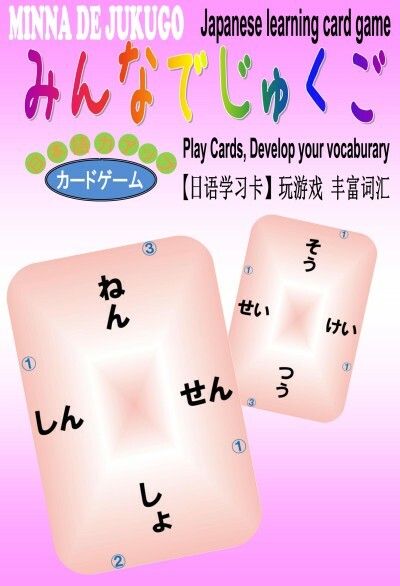 "Minna de JUKUGO" is a fun but challenging card game to brush up your Japanese language vocabulary. 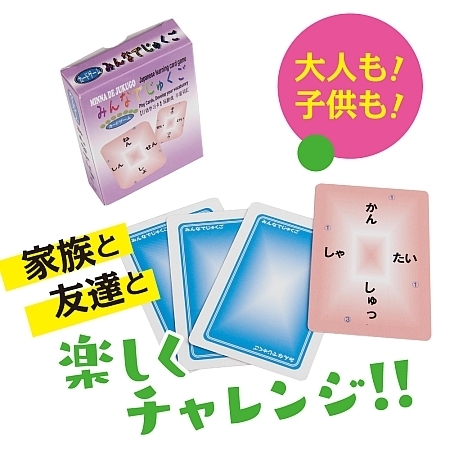 Choose a card and put it beside (or on) the cards that already exist on the table to make jukugo(s). 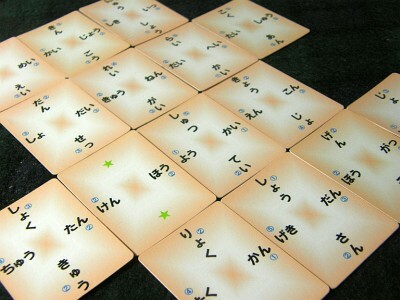 The words in the game are based on vocabulary list of JLPT, or Japanese-Language Proficiency Test -- about 10,000 words. Word combinations that are used more frequently will win you a lower score, while the word combinations used less frequently will have a higher score. 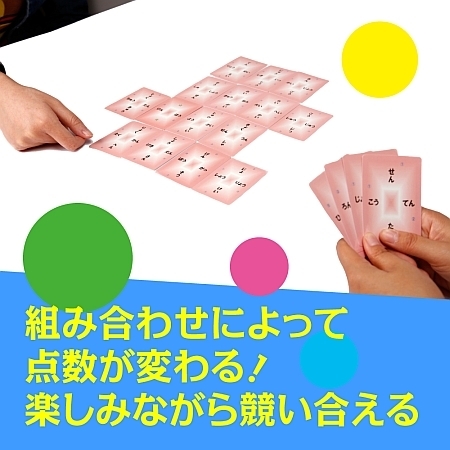 Obviously then, you need to create a better jukugo combination to win ! Another good outcome of this game is the learning of Kanji. 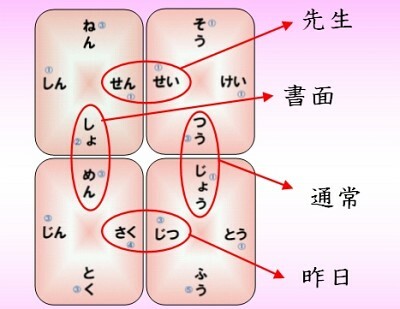 Once you make a jukugo, try to write the kanji in it. In fact, you can add a rule that writing a Kanji perfectly gets you an extra point. It will spice up the game. 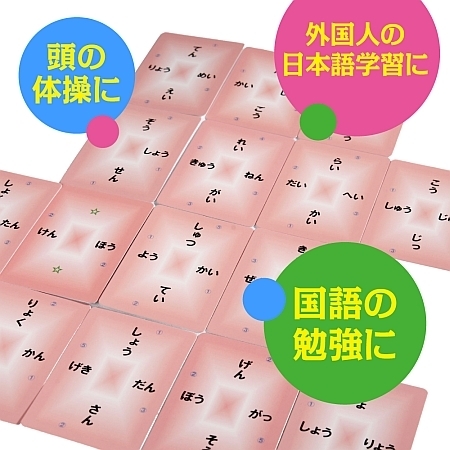 "Minna de JUKUGO" will make a difference in your Japanese learning life. ・Contents: 54 cards, manual in Japanese. 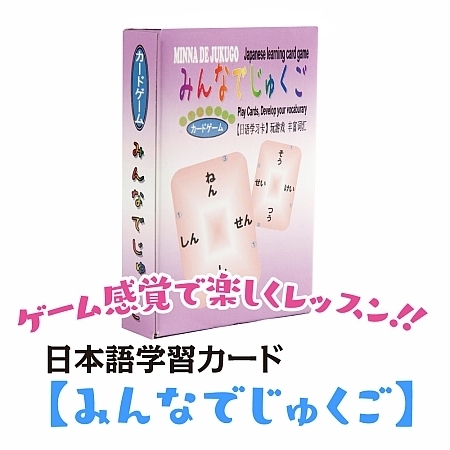 You can buy "Minna de Jukugo" from "Amazon.co.jp". If you cannot buy from Amazon.co.jp, please contact me from "Inquiry form" at the right side of this site. If you want to know more about the rule of the game before purchace or you want to print out the manual, you can download it here. Japanese and English version (A4 size) available. 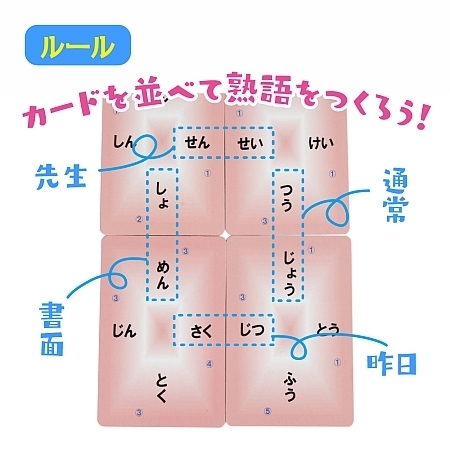 Try to write down the Kanji you make with Jukugo during the game. For convenience you can download Kanji sheet. ご意見、ご感想、お問い合わせはこちらから。You can inquire in English. copyright © 【虹色日本語教室】スパイス効いたゲーム・教材・活動集 all rights reserved.